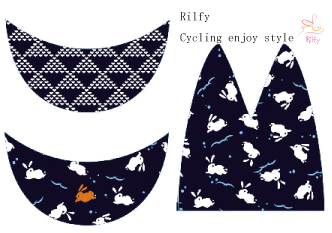 I designed a rabbit and an Japanese Pattern INDEN　“Wavy Heart Pattern” jumping to a cool, Quick drying fabric to fit the design of the RILFY JERSEY ? 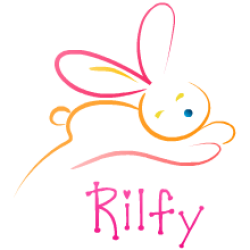 rabbit jersey. Even rides or casual, it is an item that can be active as an accent of coordination. There is one orange rabbit in the herd of white rabbits.